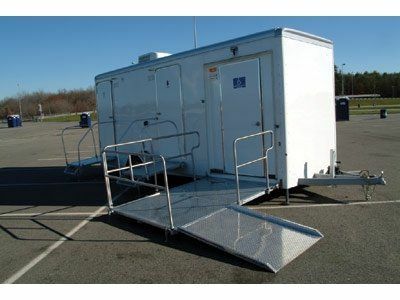 Our portable restroom and restroom trailer planning professionals work with all sizes of events. 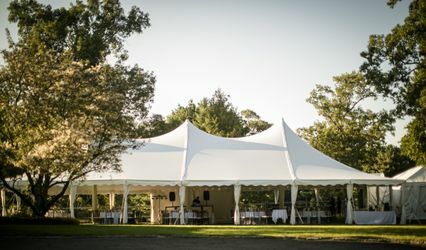 From Massachusetts to California, we service back yard weddings with a single restroom, black-tie affairs needing deluxe restroom trailers and events involving thousands of portable restrooms for hundreds of thousands of attendees. 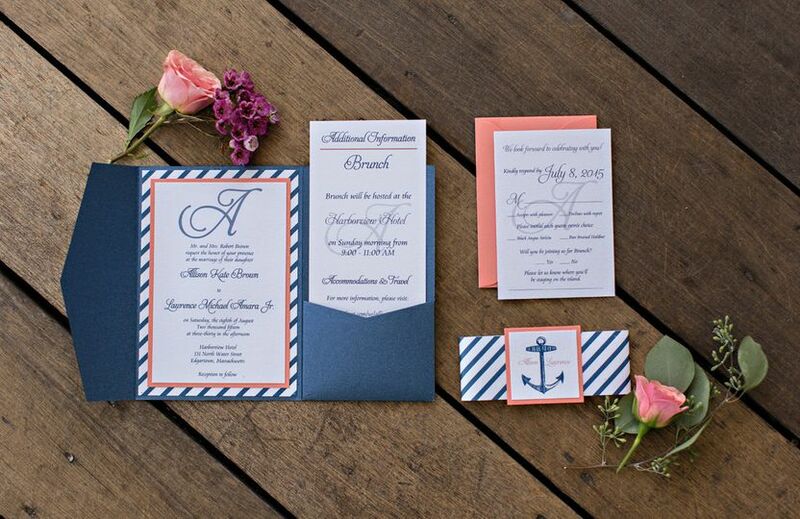 Your event specialist will work with you to determine how many and what kind of restrooms you need with careful attention paid to your budget. 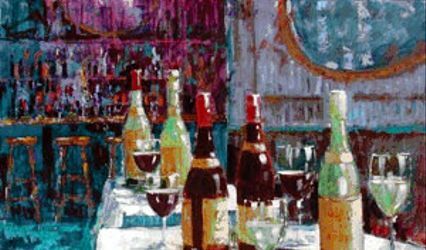 We will work together to plan logistics for delivery location, services and pickup after your event. We service California, Oregon, Washington, Nevada, Arizona, Colorado, Wyoming, Texas, Louisiana, Mississippi, Florida, Georgia, Maryland, Virginia, D.C., Connecticut, New York, Rhode Island, Massachusetts, S. New Hampshire and S. Maine. 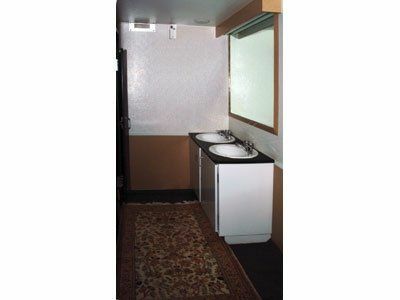 The VIP restrooms on trailers offer a clean look with an impacting presence. the PortaLisa. A compact trailer that offers a lot more space than meets the eye. 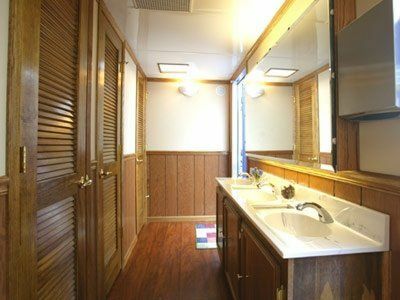 Your guests will love using our luxury restroom trailers at your wedding. One of our fine Advantage series restroom trailers. 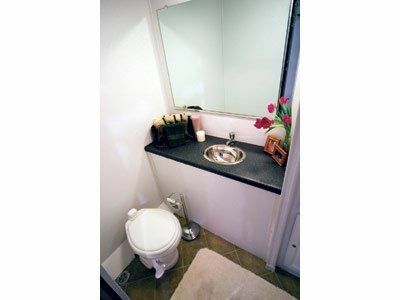 This compact restroom trailer will make the best use of limited space. Our "wedding white" flushable restrooms are a must have for outdoor weddings. 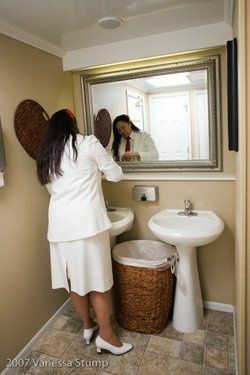 You have the option to include a sink inside your wedding white restroom. 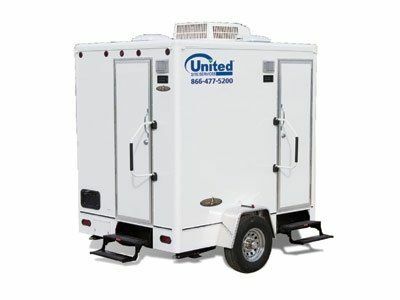 I wanted to write a review for United Site Services even though we did not end up using the portable restroom we rented because we moved our wedding indoors at the last minute and no longer needed it. But my experience renting that portable toilet was seriously one of the better experiences I had dealing with a wedding vendor! Great customer service, answered all my questions, were totally willing to make a rain plan for us (which meant that we could cancel the order 2-3 days before and not be charged), and the pricing was very affordable (about $150 for the deluxe restroom w/hand sanitizer, for a Friday-Monday rental!). Would definitely rent from them for any future event. We hosted our venue at a private residence. We did not want guests runing into the family house so we rented a bathroom from United Rentals and it worked out great. Great, because we actually needed this for our wedding guests. While planning a graduation party for my niece I knew we would need some type of portable restroom. 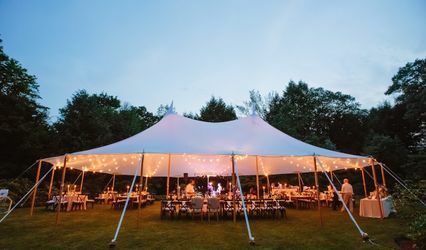 After looking over the options on their website, I contacted United Site Services and they were very helpful in helping me choose the one that best suited this event and the number of guests. The location that it was going wasn&apos;t the easiest to get to but the driver backed in with no problems and was very personable. The inside of the trailer was very clean and well kept. 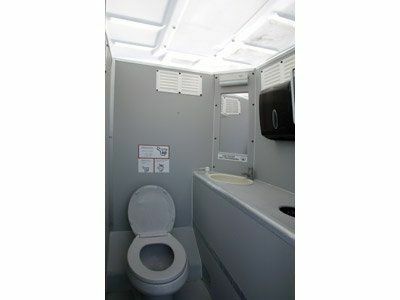 They were great to work with and I would recommend them to anyone in need of a portable restroom unit.